Do you struggle to build relationships with possible referrals? 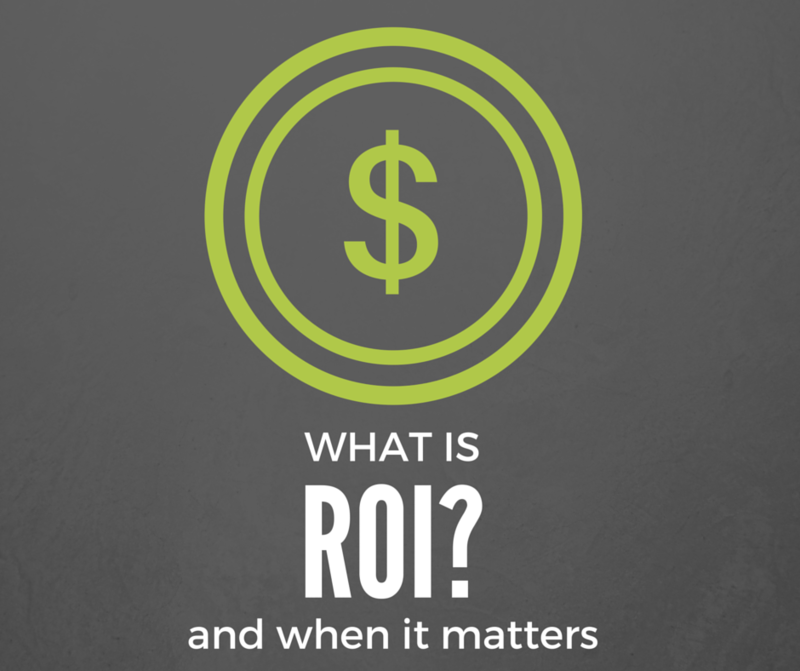 Are you unaware of the difference between prospecting, marketing, and referral processes? Do you know how to maintain relationships with current referrals? In this podcast episode, Joe Sanok speaks with Stacey Brown Randall who wants you to grow through referrals. Stacey Brown Randall has one focus in life. To help others avoid business failure. She knows – she’s been there, done that and has the t-shirt. Stacey’s online programs and live coaching provide a blueprint to follow to take control of your referrals, your client experience, and your business (or book of business). Stacey is a contrarian when it comes to typical referral advice and believes the best way to unleash a referral explosion is to do it WITHOUT asking for referrals (and she has results to prove it). Stacey balances work and home life by constantly readjusting routines as her kids get older. She also has important boundaries that she sticks to. Stacey landed up doing what she is now due to a business failure. She learnt a lot from the failure, which helped her ensure that her second business was a success. 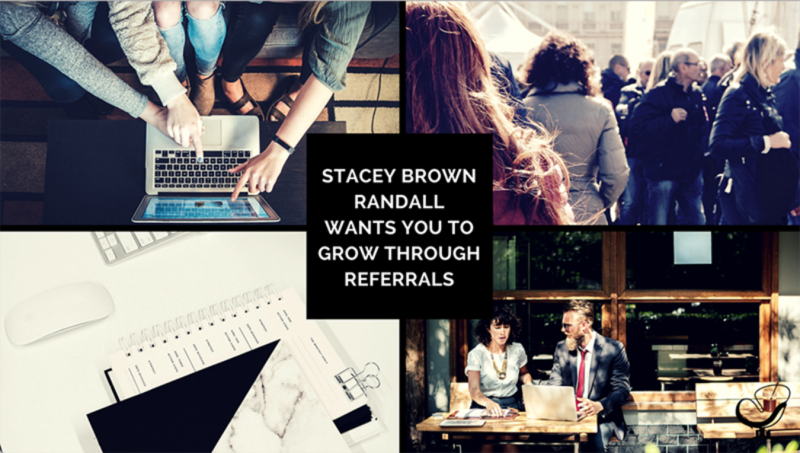 In this episode, Stacey Brown Randall takes us through how to optimise the process of gaining referrals. She outlines five steps to achieve this, which will undoubtedly transform your business. Stacey’s expertise and great examples on the topic of referrals will have you become an expert on building relationships with referrals in no time! Referrals are, essentially, all about relationships. Understand who refers to you now – “Centres of Influence”. Have an automated ‘Thank You’ process . Build outreach to stay top of mind, stay memorable, and meaningful. [I was recently part of a thread in a Facebook group and somebody asked the question, “Do I need a website?” And, I was shocked that people are still asking that question. So, don’t feel bad if you don’t have a website. But, it is as essential as having an office. In fact, you can probably do walk and talk there and have a website unless you’re in Michigan in the middle of the winter. But having a website is essential, it’s one of the main ways that people decide whether or not they want to work with you, especially if you are only private pay. So, if you need a website, you’ve got to head on over to brightervision.com/joe. They’ll make you a fantastic website. They’ll do it so quickly. They’ll also do all the IT support. Take all of that hassle off of your hands and your website is going to look beautiful. So, head on over to brightervision.com/joe and signup today. You will get a free month.] 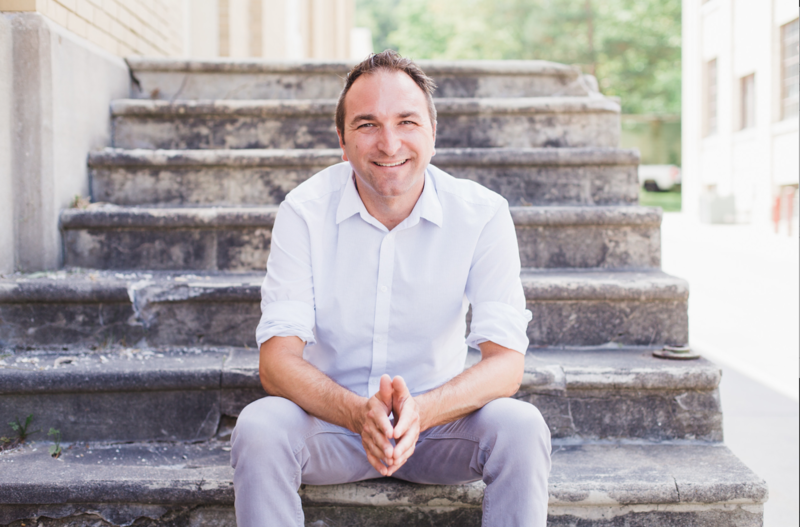 This is The Practice of the Practice podcast with Joe Sanok – Session Number 299. Welcome to The Practice of the Practice podcast. 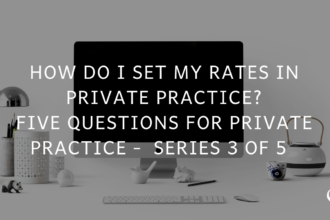 You have an amazing way to rock out private practice, way of investing yourself by learning. And, I’m so excited every time I get to do these podcasts. I batch record them. So, this whole series of 5. I’ve done the intros and outros all this morning. You may have noticed that between each of the podcasts, my coffee kicked in a little bit more. But you know, I was thinking back to when I was first started my practice, I was working full-time as a foster care supervisor. I had a side gig that I would go to during lunches to do counseling and after work. We didn’t have kids yet. Sometimes there are 7 am sessions and they’ll be done 7:45 am, and I’ll hurry over to the office at 8:00 am to be there for foster care supervision. One of my best referral sources was the pastor that had married my wife and myself. He sent us tons of referrals of people who were just, you know, struggling in a lot of different ways. It’s amazing how if you find couple awesome referrals that really it helps them be better in their jobs. Or maybe they’re a counselor that doesn’t serve the population you serve. Maybe they’re a pastor, or maybe they’re a physical trainer, or maybe they’re a yoga teacher, massage therapists. All these people, if someone comes to them, whether to friends or one of their clients, he says, “Man, I’ve been dealing with…” whatever your specialty is. You know anybody. That makes them look really good. And oftentimes, people worry about, you know, if I try to get people to refer to me, it’s going to seem slimy and salesy. If you’re thinking that, you’re already in the right state of mind because you’re not going to be slimy and salesy. You’re going to be authentic. You’re going to bring them a cup of coffee or kombucha, and say, “Hey, let me just chat about what you’re doing at your church, or what you’re doing at your practice, or what you’re doing at your yoga studio. Tell me about it.” You’re awesome at asking questions and engaging people in conversation. You’re a therapist! 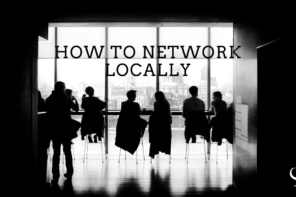 You’re good at networking even if you don’t do it. So, today, we’re going to be talking all about networking and growing through referrals. It’s going to be an awesome conversation. I’m so excited for you to meet Stacey Brown Randall. So, without further ado, I give you Stacey. [JOE] Well, today on Practice of the Practice podcast, we have Stacey Brown Randall. 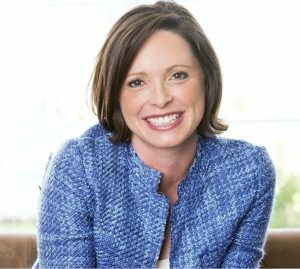 Stacey is a three-time entrepreneur, certified productivity and time efficiency coach, has a background in sales and marketing and is an aspiring author. Stacey received from Masters in Organizational Communication and is married with 3 kids – an 8-year-old son, 6-year-old daughter, and her husband also welcomed the newest number of their family to have the privilege of raising their 9-year-old nephew. Well, that’s awesome, Stacey. 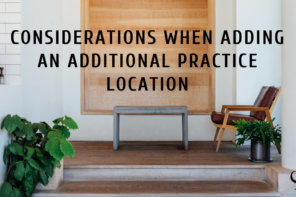 Welcome to The Practice of the Practice Podcast! [STACEY] Thank you so much, Joe, for having me. I’m excited to be here! [JOE] Yeah, so, we each have a 6-year-old daughter. So, let’s start there. What’s your 6-year-old up to these days? [STACEY] Well, now she’s 7. So, I technically need to update. [JOE] My daughter will be 7 just a couple of months. We both have almost a 7-year-old and a 7-year-old. What’s she up to these days? [JOE] Yeah, within the school? [STACEY] Already, like, you’re seven! I mean, it started before seven. But, yes, there is some drama and you know, I’m kind of teaching that social, emotional intelligence to a 6 or 7-year-old. It’s not the easiest thing to attempt to explain. Try to be kind but also stand up for yourself. I told my husband, I was like, so not prepared for this part of the whole parenting. You know, the older 2 are boys so it’s a little bit different but yes, the whole girl issue is just fascinating. [JOE] It is. It is. We have a 3-year-old girl and a 6-year-old, soon to be 7-year-old. I feel like, right now, our 3-year-old, we nicknamed that she’s like a “three-nager” where we feel like we got a little glimpse into what it’s going to be like when she’s older. Before we dive into all your business tips, how do you balance? It seems like you do a lot of things like a ton of different things. But then, having a family, I know that for me, as a dad who values being present for my kids, I’m also an ideas-guy that I’ve costly of ideas. But I kind of shut that off sometimes when I’m with the kids. Like, what are the ways that you find balance within that to go after your big ideas but then also be present in your family? [JOE] I didn’t know that plant was there. [STACEY] I did not realize you could destroy a room that fast if I wasn’t looking while I check my email. So, you know, I think it’s just accepting the fact that the readjustment periods are further and further apart the older the kids get. But, you know, I have set in some pretty specific expectations for myself that my family knows, and that they hold me too. But, I also give myself a lot of grace to know what I’m going through when we’re going through a readjustment period. I have some pretty firm boundaries as to days of the week, what time my day will start and what time it will end. I want to be home to either when the kids get off the bus a couple of days a week and my husband is there. And then, every Friday morning, my husband goes to a Bible study with a bunch of guys in the neighborhood. And so, I’m always there with the kids on the bus and don’t start early on Friday morning. There are some permanent boundaries that I’ve put into place that I think is helpful and just run my ideal calendar and my ideal week. But, also knowing when I started changing trajectory from a coaching practice, a one on one coaching practice to helping more people online with my online programs. Right. There’s just a lot more work that went to that and learning from me. And so, I work more. It’s just an adjustment period and understanding, okay, this is what it looks like now, and this is where I want to get back to, just being really clear and upfront about that. My husband sold one of his 2 businesses. So, that’s been a major readjustment process for us. It’s like having him home more than we ever have before. In the restaurant, he sold 50% back to his business partner but he still has a catering and food truck business. It’s just readjustment period. It’s like having him around more and just adjusting to that, being okay with that, and then, resetting your expectations for how we do family and how we do our personal life. [JOE] I feel like those boundaries are so essential but initially, they’re hard. Like, almost when you put a boundary on your budget. You feel like, “Oh man, I can’t go out to eat.” But no, I’m telling my money where I want it to go in the same way when you set those boundaries for yourself. It then, allows you to just focus in. This is my work time. I’m going to go full tilt sprint during that work time. But then, when I’m done, I’m done and I’m there for my kids. I know that for myself, developing those boundaries over the years has really helped me to feel like I can do this for the long haul rather than just be some kind of blip on the screen for a couple of years. [JOE] Wow. Well, take me back a few years and how did you get into this kind of business? [STACEY] It’s funny. I never really thought that some point in my life, I would be helping people all across the world, generate referrals for their business or their practice without asking, helping people set up a sticky client experience that they could able to be referrable within their business. It’s funny how I landed here. It actually comes from the heels of a business failure and then starting my productivity and business coaching practice, which is over the years, morphed now into my online side of my business. Really having that business failure, “Huh, that was kind of terrible.” I’d prefer not to go through that again if possible. Starting the second business and figuring out how to make it different, and how to make it look different so that it could be successful and wouldn’t fail. That kind of led me to where I am today, really sure necessity of figuring out how to grow practice, how to do business that would be sustainable, consistent, can grow after year after year, and create the life that I wanted, and how to do that in a way that allows me to avoid another business failure. It was really the business failure that kind of the beginning, the starting point for all the things that I’ve been able to do since then. [JOE] Stacey, your background is around getting referrals. Was that something that kind of came naturally to you? You know, it was part of you and then you realized, “Oh, this could be a business.”? Or, was it something that you kind of developed and then, you kind of specialize in? [STACEY] The little bit of both, when my first business failed, I realized that for the clients that I did work with, not one came through referral. Actually, after that business, that pretty much stopped. I had one referral come in like a year or 2 years later. But, that business never really generate referrals, and business development is something I never figured out consistently to have a pipeline full of consulting clients. Right. It was like, put my head down and do the work. Look up. Realize the work is done. There are no more clients on the horizon. It wasn’t necessarily a recurring work so that makes a little bit harder. And so, when that business failed, and I looked up, I was like, “huh, if I’ve ever got to do this again, I going to have to figure out how to touch business development every day.” And, there’s so many strategies, so many tactics, so many activities you can do from a business development perspective, old-school, new-school. There’s just so many things to try and do. I knew for me, though, I have to figure out the things that I was willing to do on a daily basis. If I said, “well, you’re going to grow this business to a cold calling,” which some businesses can do, and some can’t. I would never do it because I don’t want to. It sounds like the most awful way to spend your morning or your day or anything. When I had a chance… You know, I went back to work. I left that company and sorted my coaching practice. At that point, “okay, we’re going to figure things out.” I stumbled upon referrals. I think most people know about referrals. They know why they’re still awesome. But, there seems to be some lore and this magic behind how you make them happen because most of the advice out there by all of the experts that you have ask… Because as you know, even with folks that are listening to you, you guys can’t ask. Right. You certainly can’t ask your clients. And then, advice to ask what you can ask but you don’t want to ask, what are you left with? Oh, we’ll know referrals. But, when I looked at the human dynamic and the psychology behind how a referral happens, this solve that relationship. And, I can do relationships. That part I do well. With sheer necessity that I started teaching referrals. Since then, of course, my business focus just shifted towards really helping people generate referrals that are asking building sticky client experiences but doing it in an online way. With some VIP help as well but doing it in a more international stage than just doing it in my little corner of Charlotte, North Carolina. [JOE] Yeah, yeah. You said you had those steps. I’d love to hear more about the steps that you discovered. [STACEY] I would tell you your practitioners who are listening are going to have to apply this so that it works for them what those steps look like just based on any rules that they have to follow. [JOE] Code of ethics state, all that, yeah. [STACEY] All that good stuff. [JOE] We’re assuming that all of you great listeners are smart enough to adjust these steps to your own environment. Now, let’s go forward, Stacey. [STACEY] Here we go. As we go to the 5, I’ll get some suggestions on what this looks like so that we can almost avoid trying to apply these to our clients because I know for you, listeners, that’s kind of harder to do. But the truth is those steps that I will discuss and talk about, you know, the whole premise behind the measure is not asking. You were showing a lot of gratitude and you’re doing a lot of thinking. And, you’re planting more referral seeds but you’re never directly asking. I’ll leave it at that in terms of your folks deciding if it applies to clients or if it doesn’t. I always thought that the secret sauce of my program is the referral planting seed of language that I teach to my online students. So, you know, most of these will make sense but there are obviously the pieces to that. I suppose that it’s kind of behind the curtain but it’s on the saying that it’s never an ask but it always comes from a place to show gratitude. [JOE] I think that there’s a lot of listeners that they have they practice but they also have a big idea. They might be a podcast, an e-course, something that isn’t going to be that person to person counselor to client relationship that people can apply this to beyond their practice. I hope people would think large outside of just doing your typical counseling. 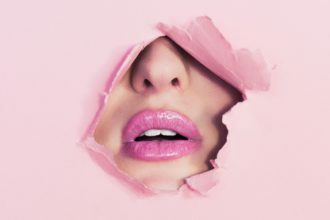 But, go after your big ideas – e-course, keynote, all those things that maybe you could use those techniques for beyond just your typical counseling relationships. [STACEY] Yeah, absolutely. You know, as I went from a one-on-one type of coaching to now, online, I’m applying these same steps from an online perspective working with people generating more referrals when it comes to my online program. So, definitely think big as you said, Joe. The first step is you need to understand who is referring you now. That could be clients. Right? More than likely, it’s probably also going to be some type of strategic relationship you may have with another practice. So, if you help people with just one type of addiction… I’m going to make this up, so it might not be perfect… with one type of addiction but you now that there’s another counselor that when they come across these clients, they don’t do that. They’re going to be sending those people to you. I refer to you in the non-medical practice world that is center of influence. So, it’s people who know what you do but don’t do what you do that come across your ideal client on a pretty regular basis. These 5 steps work great applying these to your centers of influence, and your listeners are kind of within your boundaries. But also, if you have clients that refer to you because you’re never going to ask, you may modify some of these steps for you as well. But, it starts with identifying the “who.” When you identified the who, we have to know who refers us now. Where are all your clients coming from? The easiest way to do that is to sit down with your clients. Figure out if you don’t know how to read information captured in a CRM. Figure out how they landed in your lap. Now, I’ll be honest. If you’re not capturing this now in a CRM and you have to do this with like pen and paper, walk down memory lane, it’s a little bit of a time-consuming task but will only need to do once. [JOE] I think if you have a virtual assistant who’s answering your phone or doing your scheduling, you could do it as simple as having a very kind of generic Google form or create some system for them to say, “Well, where did this client come from?” If you aren’t doing that, you have no idea what marketing’s working. Whether spending that time going to a doctor’s office is worth it or not. If you’re not doing it, I would totally echo what Stacey was saying that you want to figure out how to be part of your system of onboarding someone into your practice. There’s another beautiful thing that come out of step 1. It is a process. Well, the good news is you’re going to get a couple of benefits by going through it. If you look back to your clients, and you figure out where they hang from, do your exact point, Joe. You’re going to be able to pinpoint what working is working and what isn’t working. What sales tactics are working, and which ones aren’t working. So, if you’re spending a ton of money on Facebook Ads, but, all of your past clients… By the time you’re running Facebook Ads, we’re coming through referrals, or we’re coming through another way, well then you know all that money you’re spending on Facebook Ads maybe you need to reduce them or eliminate it. So, you get really good data on your business about what’s actually working. I think that’s valuable information. Business owners don’t take time to think about enough. [JOE] Yeah. So, what’s step two? [STACEY] Step 2. Everybody calls this, or they want to call this but of course I don’t let them. But, they want to call this the “Of course I went Stacey.” Step 2 is really credible. Step 2 is you have to have an immediate thank you follow up process every time you receive referral. Here’s what I say, somebody may say, “Okay, but wait, I can’t tell somebody that someone’s become a client.”: My definition of a referral for me is that the person who’s being referred knows the person who’s referring them. And, they know it’s happening. There are referrals… It’s kind of more word of mouth but that kind of happen blindly. Someone calls in and says, “Yes. Sam was talking about you, so I decided to call.” It might not be appropriate to thank Sam because then you don’t have permission. But, if the person right comes in and says, “You know, here’s an email and I’m connecting you two together.” And I’m saying, “Hey, Sam. Meet Joe. Joe meet Sam. He needs your help.” Then, obviously, everybody’s aware. And so, sending a thank you note is valuable. You can also… So, I believe the most important seed you can plant, and an immediate follow-up process is to thank by name, which means if I’m sending you a card sending “Joe, thanks so much for sending Sally to me.” I’m including Sally’s name because I want you to remind you and build the habit of what you did by specifically giving you a human to think about it. [JOE] I love that. And one thing that we do in our practice is we have a release of information for the doctor that referred and so we can coordinate services. But if you have that release of information already, then, that client is saying, “Yes, you may speak to that person and acknowledge that I started counseling.” Then, it makes it easier to do that. Obviously, you’re going to have to follow all the heap of requirements. But, I love the point that you’re writing a thank you card. And so, if few people do that nowadays, it really makes you stand out. [STACEY] Right. And, it’s not an email. It’s not a text message. And, it’s not actually even a call. I really want to hand it in a handwritten note for two reasons. One, it gives me the opportunity to truly plant a seed that they’re going to read and see, which means most of us remember it longer. And two, a handwritten card says something than an email and a text message can’t say, which is, you are valuable enough to me to take time out of my day to write this note because an email and a text message show no value of time. They’re done so quickly. But wow, a handwritten note shows that you have to think about me for a while, while you’re getting out the note card and addressing the envelope, and putting the stamp on it, and writing the card. So, whereas what you say matter, it matters more to show that they’re valuable enough for you to spend time on them. [JOE] And, you recommend putting your business card in them with the card or not? [STACEY] I don’t. I don’t think when I’m sending you a card that has nothing to do with thanking for a referral, then, I’m just saying, “Hey, I’m in the neighborhood.” Well then, that’s a prospecting or sales technique. Put your cards in there. But, when I’m thinking you for a referral. The mindset is, I’m not trying to sell. The mindset has to be completely separate, right? When, we’re generating referrals, when we have our referral generating plan, it is separate from the techniques that we would do and the activities we would do that’s in the prospecting and marketing side. They are three separate plans – the prospecting plan, the marketing plan, and the referral plan. It’s that, in the referral plan, the mindset is just different. We are not trying to sell. And when you include your business card, it’s almost an assumption that you’re expecting them to do something with that card. What I would prefer is that if you’re concerned that you may write a note they may not remember who you are. Then, at the back of the card, put your logo. And, if you want to put your web address or the logo plus the name of your practice, so be it. It does not have to be crazy over. It’s like the one time in a referral playing right. It’s fine to have your logo on the card. Any other time that we’re participating in a referral plan, in our outreach, and our touch points, which I will explain step 3, it’s not about us. So, putting our logo on the card isn’t going to work because that’s about us. And, what we’re trying to do is make referral touchpoint about them, about the person who is our referral source, the person who is referring us. That’s why it’s important. [JOE] So, then, step 3. What’s in that? [STACEY] Here’s the thing. The reason why step 2 looks like a throwaway step is because it’s the thing that happens automatically after a referral. The reason why step 2 and not 3, 4, or 5 is because if I can’t trust you to thank every time you receive a referral, are you really worthy of future referrals? Having that process and place is really important so that we can know that we have the ability to think at the moment, and we can plant the seed and thank. Because if you can thank me for something that I’ve done, you’re naturally going to build the habit that I want to do more of it because you’ve rewarded me. Unfortunately, that’s just how the human brain works, right? It’s like, “Oh, you acknowledged for something I did. Thanks. I’m going to remember that.” And, it’s going to probably work out to your benefit in the future. Step 3 is, now we know how to thank. We know who our referrals sources are. We know how to thank them immediately. But do we do throughout the year while we’re waiting for more referrals? The idea is like in between that referral stage where we’re sending a thank you note, what do we do to kind of like help cultivate that referral mindset? And to be able to show that gratitude and that thanks and to be able to stay top of mind? That’s the outreach that we build. I’ve had my students build out a 12-month plan because I want to know what we’re doing for a year. I want to set it. I want to forget it. And, that’s when we get to step 5. We can’t really forget it but I want to build it out to know what we’re doing to know what the budget looks like, to know who we’re doing it for, to know what we’re going to do so we have a plan of action. Those are the touch points, right? That outreach we’re going to do to our referral sources throughout the year, though not every month, becomes the touch point. In between receiving referrals that allow us to do a couple of things. It allows us to be memorable and meaningful because we’re no longer trying to keep in touch. We’re transcending keeping in touch. And, we’re moving into staying top of mind because we’re making our outreach, our touch points about our referral sources so what we do is memorable and meaningful. It has an impact and it keeps us top of mind because it’s all about them. It’s nothing about us. One of my touch points cannot be sending you… Let’s say, your referral sources are mine, Joe. One of my touch points cannot be sending you a water bottle with my logo on it. [STACEY] That is awesome in the marketing plan. And the referral plan though, it better be something that you would actually want that is a promotion of mine. And, I’m not saying we have to do gives. There are different things that you can do when your folks are local. You know, you can always spend time with them. You can always recognize their holidays. There are still a lot of things we do, and we can kind of brainstorm this in the program so people understand, there are really true limitless opportunities. We just have to hone them to get the ones that you’re going to have more impact for you. I’d like to give examples that aren’t specific to your listeners because I sometimes think that that helps you trigger the best ideas. So, let’s just stay for instance, you’re a doggy daycare. Well, a doggy daycare would be great. Those veterinarian clinics are their center senders of influence. So, top referral sources for them are that clinics. Of course, their clients are too. But if those veterinarians are their top referral sources, then, a doggy daycare would be really smart to recognize where that world that veterinarian data happens to be in April every year. Right. So recognizing that with something special, whether there’s a card or maybe there’s a gift, or maybe, I don’t know, cake for the entire office. Whatever it is, depending on what your budget will allow, we can build these things on shoestring budgets. And, we can build these things when we have a little bit more money. But it’s something about them, and it’s not really necessarily about you. It connects back to the business that you do and gives you a chance to do step 4, which is to plant their referral seeds with all those touch points. All that outreach you’re doing throughout the year building out this plan, what you say is critical with all those touch points to be able to plant their referral seed so that you’re not actually asking for a referral. [JOE] So, in step 3, it’s all about kind of be more automated and planned out for the year. And then, in step 4, is really planting those seeds. [STACEY] It is. It’s all about the language that we use within those touch points. [JOE] Give me some examples of what that would look like. That’s helpful to hear the veterinarian example. What else what that would look like to kind of build that out and plant those referral seeds. [STACEY] Perfect. So, here’s an idea that I had a home builder do. Right. So, I’m going to use different examples for you guys but this one was really cool and not everybody can actually duplicate this. But, I had a homebuilder client who is trying to come out with a touchpoint. They needed something in the summer. And so, we were thinking through what are the things that you could do. We were having just looking like some national wacky day in June. It happens to be in June 17 is World Jugglers’ Day. And, he was like, “Oh, it’s funny. I could juggle.” And I was like, “Okay! Can you juggle hammers?” And he was, like, “Okay, that’s dangerous but yes.” And I was like, “Well, danger makes it exciting.” “Where are you going with this.” And I said, “What if we created language for you to say in a video to show off your hidden talent.” You have a hidden talent that you can juggle, and you can juggle hammers makes the connection. [JOE] Yeah. I can juggle but I’m not going to juggle hammers. Are you kidding me? It was just those pieces that kind of wove in together made it work. And that why step 3 and step 4 go so closely aligned together because without one, it’s just a bunch of touch points. Without a touch point, there’s no language to send. We kind of need both of those pieces. In the program, I always refer to them…Step 3 as I was explaining it to you is actual module 3 in the program. And I would say, these are the meats and potatoes module. And then, step 6 is the language portion which is step 4 in the process we’re talking about. I would say that’s the secret sauce. It is something that I do as I recognize Mother’s Day and Father’s Day for all of my referral sources who are mothers and fathers. And, if they aren’t a mother or father then I recognize the start of summer because from my process perspective that keeps everything in the May-June timeframe. So, it makes it really easy for me when I’m trying to actually manage this and make this happen. And, so I recognize… For Mother’s Day, here’s the thing. You need to know your referral sources kind of inside and out. You may not know all the details of all of them. It may take some time to get to know them especially if they’re not clients, if they’re not patients and so you don’t naturally have information on them. You’re going to have to kind of ask and dig. But, I know that about 80% of my top referral sources are working parents. They either own a business or they’re in business. They’re also parents. And so, recognizing Mother’s Day and Father’s Day is a natural point for me to recognize because it fits 80% of my referral sources and I definitely want to take care of the other 20% as well with this touch point but it’s not getting around Mother’s Day and Father’s Day, it’s the start of summer. It’s probably not my most but one of my favorite ones that I did because it had a great impact with my referral sources and they understood that at the end of the day, the things I do for my referral sources when I build out step 3… Ultimately, I do want more referrals. Let’s not act like that’s not ultimately what we’re after but they know that how they’re felt, how they feel going through this 12-month experience with this plan I build out is they feel like I care and I’m taking care of them. And, they know that I see them. They’ll have gratitude for them and I’m very aware what they mean to my business because what they do is to make my life much easier. 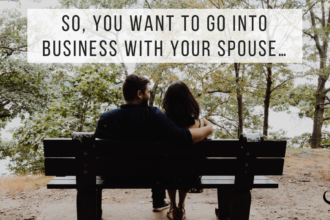 They drop new clients into my lap that I don’t have to spend money on and I don’t have to go after and find with lots of networking, cold-calling, or spending every night of the week at a chicken dinner trying to meet people. That’s valuable to me. It’s worth it to take care of them in that way. [STACEY] Yeah and it matters to you because you know that they care. And, what made it care? It wasn’t really that they sent you the Yeti. Yetis are awesome, by the way, that was my Father’s Day gift. Fathers now come to expect every year from me. They’re my referral sources but yetis are awesome, but it was the fact that they remembered something about you that in some cases could be seen as an insignificant detail about your life the fact that you have a green smoothie every morning. I mean maybe it takes discipline because things are not always awesome to taste. [JOE] I feel like I have turned that corner, but I appreciate you saying that. [STACEY] That’s good but they recognize something that most people would consider to be insignificant detail in your life. But, to them, it wasn’t into you, it’s not. [JOE] Right. Right. It sorts of like, I feel like I get my vegetables in for the day. Even if I’m kind of junkie today, at least I started with the green smoothies. [STACEY] Basically, what you’re saying is you have your green smoothie with the side of rice? Well, so, what’s step number 5 after planting your seeds? [STACEY] Well, this one you’re going to love, Joe, because this is what you really want which is why you help your listeners figure out, and your clients figure out their practice. It’s to make their life better by being able to work less. So, step 5 in this process is we actually have to process-itize it. We’re going to great some systems, some automation, and some processes around this because ultimately, what your referral sources need from you is referral experience where they feel cared for, and noticed, and seen, and thanked throughout the year, for the referrals they send you, and then, in between those referrals. But as a business owner, what you need is a process. [JOE] It’s a lot of work, it sounds like. [STACEY] Here’s the cool thing about it. It’s not a 12… We built it on 12 months but you’re never doing something every month. So, that’s always… If you’re sending every month, you’re going to break the bank and you’re going to move to stalk mode. They could be not being cool because it’s like, “Oh my god, it’s like I get this handwritten note from Joe every month.” Then, it says the same thing. That’s creepy, right? We’re not doing that. But the idea is that you have a process to follow and then maybe the experience. When you execute on the process that’s built within your business, whatever works best for you. In the program, I teach people how to make this happen if they’re into more into manual task list. How to make this happen if they aren’t using the calendar feature within their inbox, and their calendars actually keep up with the things have going on. Or, if they want to use a kind of a CRM, or maybe if they’re using something like a Pipedrive. It’s just more of a prospecting CRM. I show them how to kind of use this to kind of create this process within their business so that it doesn’t become overwhelming. Because the truth is, in March, I don’t really need to think much about the Christmas cards I’m going to send out, but I do know they’re one of my very critical touch points that I do every year, so I certainly don’t want to forget about it. So, just putting it into your system and putting it into your business so you just know when it’s time to do things and the project plan is already built so you know the steps to follow. Bryan Chasey, famous Management Consultant always said, “For every minute you spend on planning, you save 10 minutes in execution.” So, if we build the plan and then we put it out there into whatever system we use. It helps to keep up with things whether it’s calendar, Task less, or CRM activities assigned. We just got to put it in the system, so the system can then remind us when it’s time to do something. With my process, you’re not buying any extra system. I’m going to tell you to use what you already have to remember when it’s time to do things which means there’s still working to do. You can outsource, and you can delegate the shipping of something. But, if a card has to be written, sorry, Charlie, you’ve got to write it yourself. There are some pieces you still have to do. There’s still work involve but remember, I’d rather do this cyber work than spending everyday networking with a new group of people eating a Robert chicken luncheon. I’d rather just write some cards and that’s going to generate the same level of referrals in terms of sustainability in my business. Over time, this grows in compounds on itself, so it does, I mean, every year, I have generated over 100 referrals in my business. Now, that number has changed since I moved online. When my business moved online, it was like 30 for 1 person, I was like, “Okay, this is new.” This is awesome, and this is new. 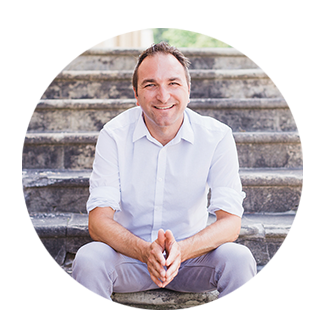 But, even with coaching practice, my one-on-one business and productivity coaching practice, over 100 referrals every year, when people sign up to work for a full year, I was turning more people away than I actually have time for. And, that is sustainability and great growth in your business that you can count on. And, it wasn’t just for 1 quarter, 3 quarters, or a quarter every other year. It’s every year if you follow the process, you do the work, and you do it right. That you could build out sustainability which creates freedom. In our business, if we know where our plans are coming from, that is a level of freedom and stability that is worth any type of time you have to spend. But, I will tell you, you’ll spend less time doing this than you will some any other prospecting and business development techniques that are out there. [JOE] Well, yeah. 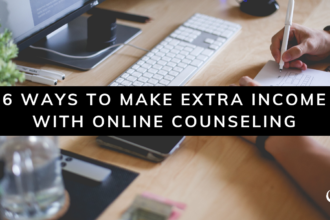 I mean you think about, you know, if somebody sends you 10 clients a year or even 3 clients a year, and most people each come 10 times, you received hundreds of hours counseling time that that person has sent your way. To take an hour a year to write out a thank you card or to send out a gift, or to send something that says, “I really appreciate that. Thank you for this relationship.” That just seems like it’s one of the least things you can do and it’s good for your business and it makes that person feel connected. One of the last questions I always ask people, Stacey, if every practice owner in the world are listening right now, what would you want them to know? [STACEY] I think the important thing is that we get used to running our business the way that we run it. Now, I can make some assumptions about your listeners. If they take the time to listen to your podcast, they’re actually the type that want to grow and change and want to bring in different ideas. But, we still have to set aside time to do that. We still have to figure out what’s going to work for us. We still have to make sure that we are willing to take the time and energy, and not just fall back into the complacency of what it looks like to run our business because things aren’t good enough. And so, I would encourage your listeners to truly think about what does it look like to take your practice to the next level? And then, make the decision if you’re committed to getting there. It may not be my program, right? It may be anything else they’ve ever heard in this podcast that could change the trajectory of their practice, but we have to be willing to do it. We have to be willing to do the work. Again, because anything we do on the fun and saves us time in the backend, but you don’t get to the backend without going to the frontend. So, you’re going to be willing to put in the work. And if there’s one thing I would say is, pick something and be willing to do the work, be willing to not live with the complacency of your practice and be willing to make it look better and different. [JOE] Oh, it’s so awesome. Stacey Brown Randall, here on the podcast. If people want to connect with you, what’s the best way for them to connect with you? [STACEY] Well, great. Two ways, I would tell you that you can always find me on my website growthbyreferrals.com/. There’s lots of articles and things to download that would help you kind of figure out how to generate referrals without asking and build sticky client experiences. But, what I would love to do for you listeners is just put together… you can kind of get lost on the website. Let’s be honest. So, put together a very special page for your listeners that they can go to: growthbyreferrals.com/joe. And, if they go to that page, they’ll be able to take a referral quiz which I called the Referral Ninja Quiz. It’s a great simple 9-question that just help you figure out where are you in your referral generation skill level and your abilities? Are you a beginner, in-training, or are you a referral ninja master? That quiz s a great way to kind of start. You can also join my free Facebook Group. I’ll put a link to that – Referrals without Asking. And then, you can download the 7 Deadly Sins of Generating Referrals. The big no-nos and what not to do for anybody that is, you know, they’re curious if they’re doing anything they shouldn’t be doing. That’s maybe getting in the way of generating referrals. They can download that as well. I’ll put that all on one page: growthbyreferrals.com/joe. [JOE] Awesome. We’ll have links to that in the show notes. Stacey, thank you so much for being on The Practice of the Practice Podcast. [STACEY] Joe! It was my pleasure. Thanks for having me.